for submitting product information about Viavito LunaRun Fold Flat Treadmill We aim to answer all questions within 2-3 days. 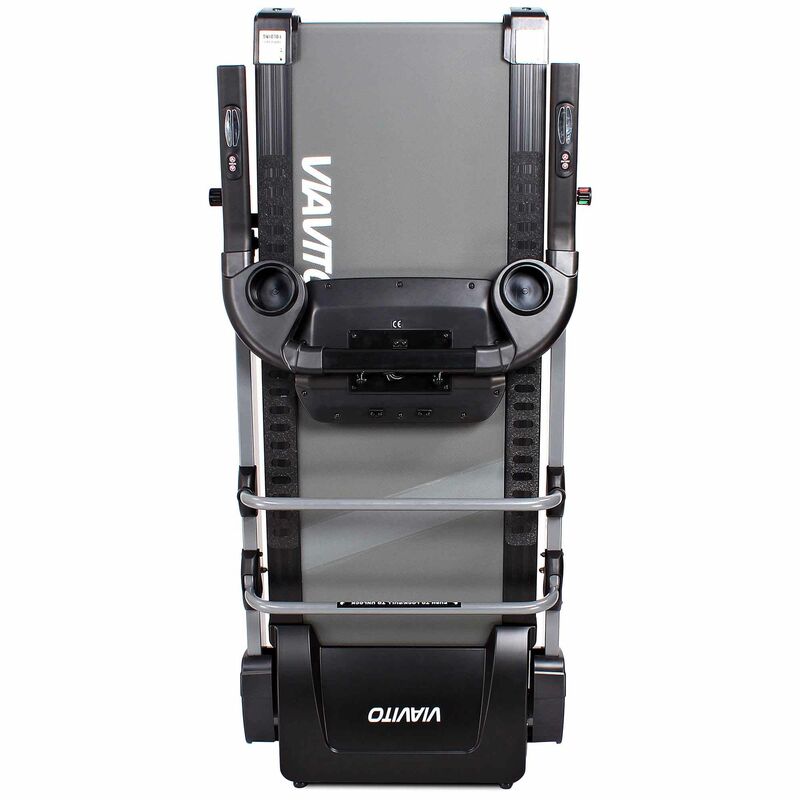 for submitting product information about Viavito LunaRun Fold Flat Treadmill. We aim to answer all questions within 2-3 days. If you provided your name and email address, we will email you as soon as the answer is published. Is it easy enough to use and store away each day? 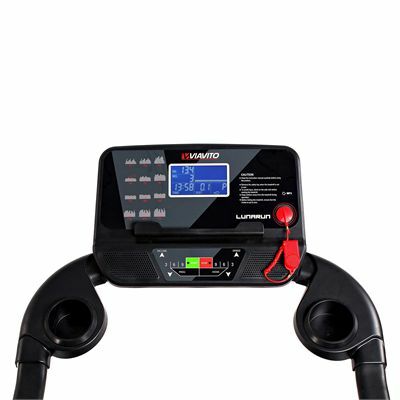 The LunaRun ensures easy control of the machine thanks to its clear and intuitive back-lit LCD display and direct speed and incline controls on the console and handlebar providing quick selections. With its ingenious fold flat feature, the treadmill is a great option for those who are tight on space and can be easily folded for space-efficient storage. 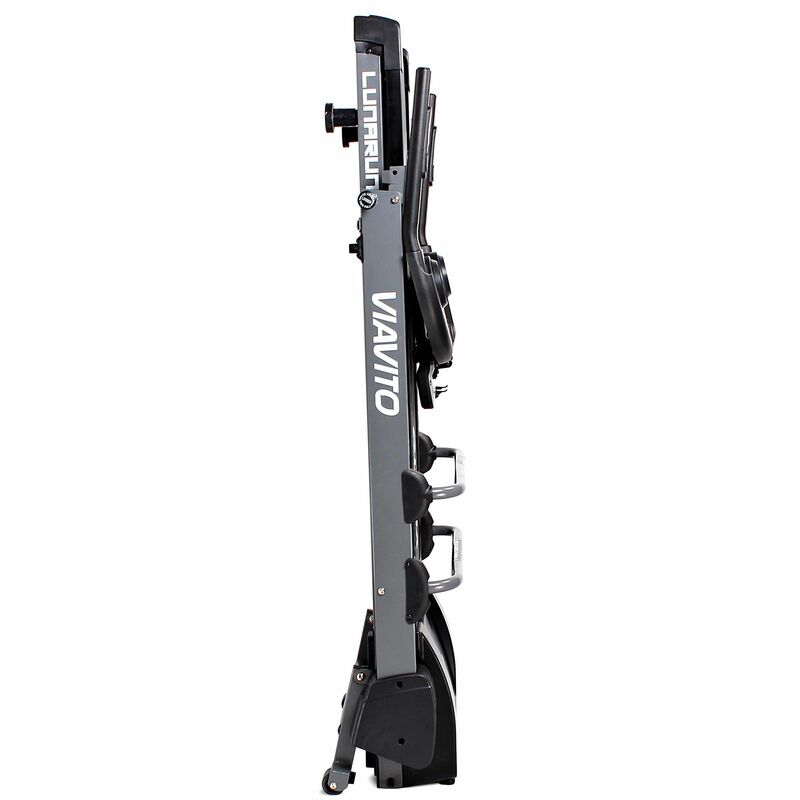 The LunaRun offers a maximum user weight of 90kg (198.4lbs). Would this be suitable for runs of over two hours? Absolutely. The LunaRun will easily cope with that kind of use. Can you deliver in Portugal? Dear Luis, unfortunately at this stage we are not able to ship to Portugal. Is there a tablet holder for putting your ipad on? Hi. Yes, The LunaRun has a shelf in the middle of the console. I've got limited space but wanted a proper treadmill. I've seen a few 'compact' treads and they seem quite lightweight. What's this one like? Hi. The LunaRun is actually a lot sturdier than the stated dimensions would indicate. You can get a proper workout on it and it really does feel very steady. It's small, but it's not flimsy by any means. I'd like to order this treadmill but wanted to ask if it's suitable for training 7 days a week. Would be for about 35 min per day. Absolutely. The LunaRun is designed for daily use and half an hour or so will be fine. 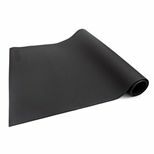 If you have more than 2 people wanting to use it daily for that amount then it's important that you regularly lubricate it to prevent the belt drying out. Can you send someone to assemble the treadmill for us? Hi. There's no need. 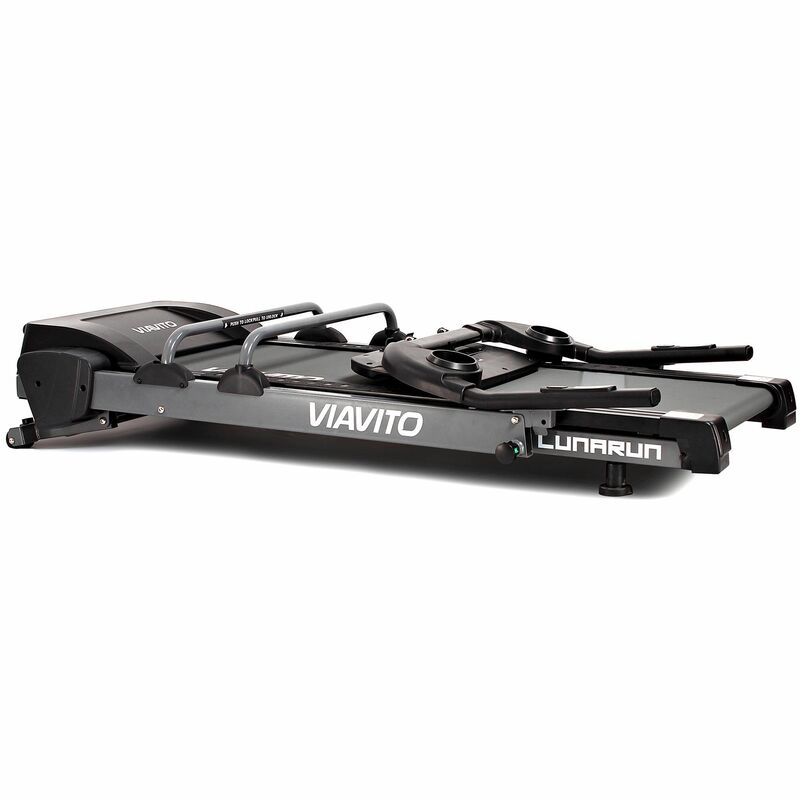 The Viavito LunaRun is pre-assembled. Just unpack it, follow some simple instructions, plug it in and get running! I am very happy with the treadmill. 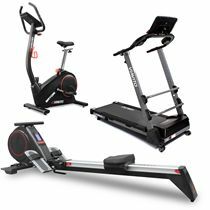 It is perfect for beginner and intermediate workouts, as well as being not too bulky and easy to fold. We are so pleased at this purchase which is used regularly each day. at the very least. 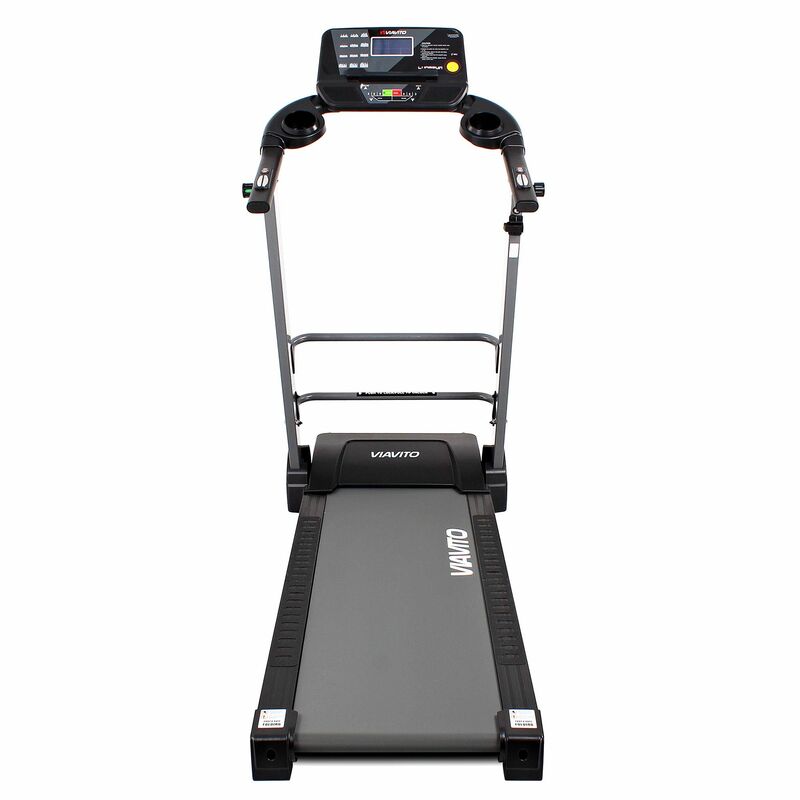 The treadmill does everything as described and is so easy to operate. 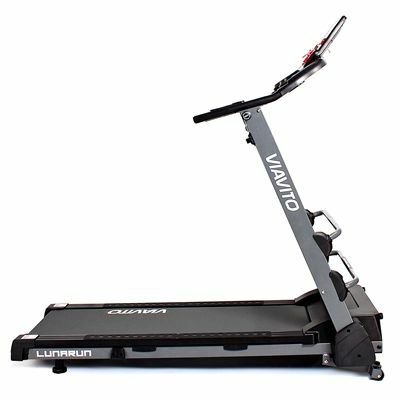 We love the fold-down aspect which enables it to fold down flat, something that other treadmills do not offer. The price is very reasonable. We love our treadmill! Arrived ok, fairly simple to assemble, works ok but drinks holders broken. Contacted sweatband to be told this was a common fault and that 2 x more holders would be in the post that week (January) not heard a peep since or had any replacements. Worth buying though if you don't want to use the holders. 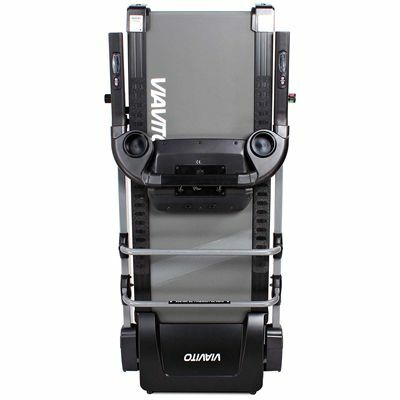 Robust, easy to use, ticks all the boxes for a foldaway treadmill. Really happy with it. Really pleased with this treadmill! Very sturdy and feels well made. Would highly recommend this to anyone looking for a very well priced but quality treadmill. I have been really pleased with it's performance so far. The pre loaded programmes are challenging and varied, certainly for a novice such as myself. Not had to use the fold flat feature yet however I wanted the option in case I needed it in future. Sturdy, well made and easy to use. The incline features work seamlessly and I love that I can play my music easily through the built in speakers. I am very happy with my purchase. 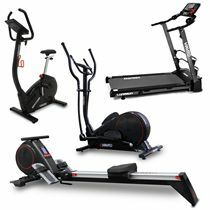 In use its really little different to the gymn machines I use. Of course it's compact so the running track is narrower than the gymn machines but we are tight on space so that's one of the benefits. For the price it's a bargain. Fantastic treadmill. Easy to put together. Easy to use, does everything I wanted from a treadmill. Bonus of folding so flat, takes up very little room and a great price. 10 out of 10 for me. Love the treadmill, The only feature it is missing is a heartrate monitor that doesn't require you to keep your hands on the bar. This is a well built treadmill. Really good value for money. I bought the LunaRun mainly for the ability to fold it flat which I think is it's most useful feature. It's easy to fold and wheel out of the way, It is slightly too wide for our door openings so it takes two people to lift it through the door sideways unless you are exceptionally strong. Initial set up is easy. I was up and running in 15 minutes. I can only compare it to gym treadmills. As you would expect, it's not as sophisticated as those, but it has a good range of programmes and works well. The noise is not too intrusive although mine's on a mat which I would definetly recommend. Speed & incline controls are good. Only real negatives are that the water bottle holder is far too shallow and therefore not useable unless you are only walking. Otherwise, a regular water bottle will fall out. The built in speakers are awful. I am pleased with the LuaRun and count the gym membership savings everytime it's used. 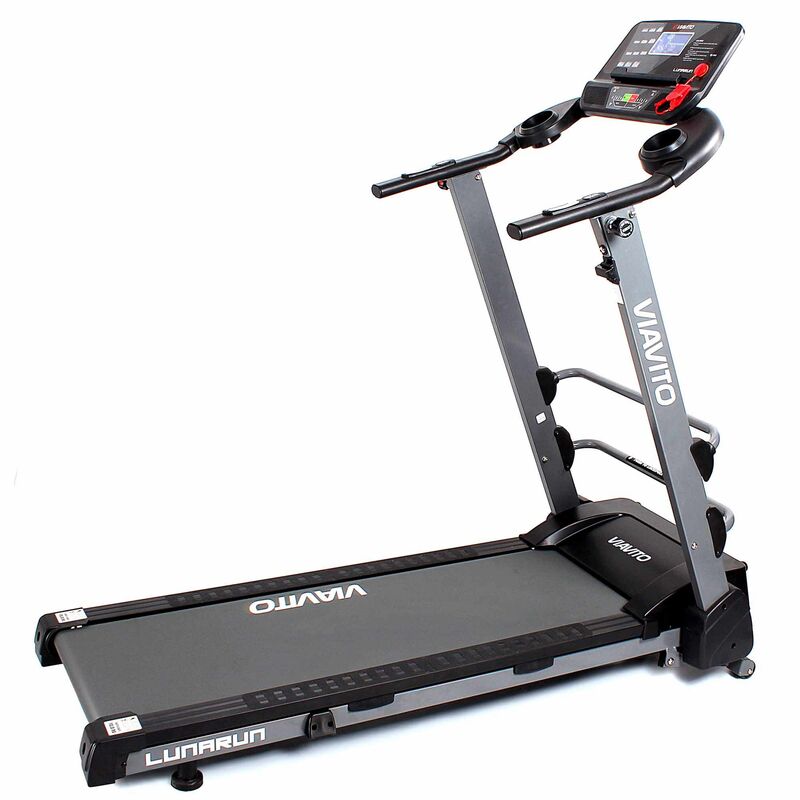 for submitting product review about Viavito LunaRun Fold Flat Treadmill.